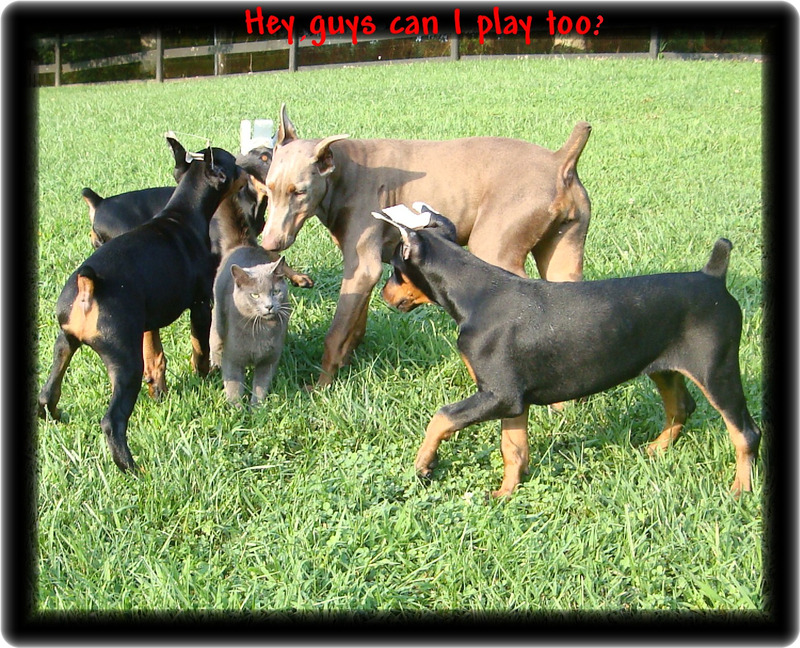 In the Doberman Education World, Hoytt is the “POWER”! we remain the leading educator of the Dobe. Obedience, and in DPCA, yearly Top 20 charts, bar none! We are not hobby breeders or part time trainers. are guided by Mr. Hoytt. We all work as a team to make the House of Hoytt the only choice! AT PRESENT LIMIT HEIGHTS THAT ONLY OUR PUPS AND THOSE IN THE SEVENTY-FIVE POUND RANGE MEET. We have Two Hoytt Dobes one a pre-owned - WHO NOW CAN'T FLY TO THEIR NEW HOME COMMERCIAL CARRIER - FOR THESE PERSONAL PICK UP WILL BE WELL REWARDED. The courses discussed in this presentation were designed to give each buyer the added option of our expertise at the level of choice when it comes to pre-placement educations no other can offer. 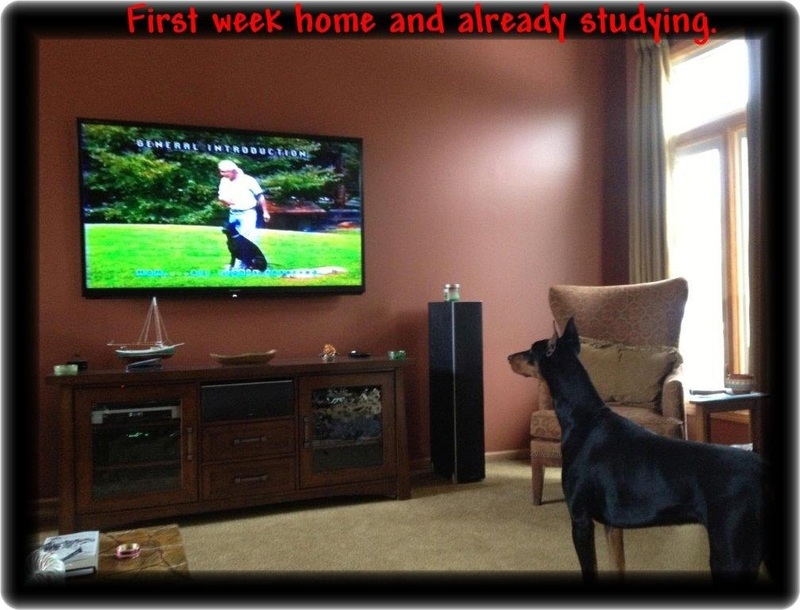 It is very comforting, a true confidence builder for the young Dobe, to be able to do things that please you when it arrives at your home. Pleasing those it loves is its greatest personal reward. By developing the basic commands before the dozens of serious rules of life in our homes begin, we have given it a job. A way to show off, a pride of accomplishment. In the beginning of home life, every room, every square foot of each room, every bit of furniture, every item on a table, the books on a shelf, every good smell on the counters, dinner time, or that thing that you keep dropping, become familiar to your young Dobe. The apparel hanging over a chair, laid across the bed, sticking out the hamper or the shoes just out of our sight or neatly arranged in the closet are all familiar. Life with total interactive relationship with man comes with strict rules. Those earlier mentioned objects were just a sampling of things that must be learned through different levels of mistakes. The new Dobe, will, until life in the home is mastered, face a constant, NO THIS, NO THAT, NO, NO, NO! Super Pup programs are designed to give the kid a chance to walk in and show off a bit, to show you it's not a dummy. It knows things, even just to sit when asked, gives it something that can be complimented. SP1 first creates the ability for us to communicate with the kid since it also know who it is. It has an identity, a name. While learning its ABC's, it also does not feel lost in a world where people talk in a strange language. Life in the beginning is tough when you are not going to be just the dog out back! SP2 adds a whole new group of rules related to life - in the home with supervision for a few hours a day during the last weeks here.. For you first time readers; our most favored composite is the Hoytt Dobe that individually fits your interests and heads home as a graduate of the Super Pup Two program. We also have additional programs for those seeking even more world experiences as well as extension of our primary programs. In Case Your Kid is Getting Rusty We Offer a Brush UP!